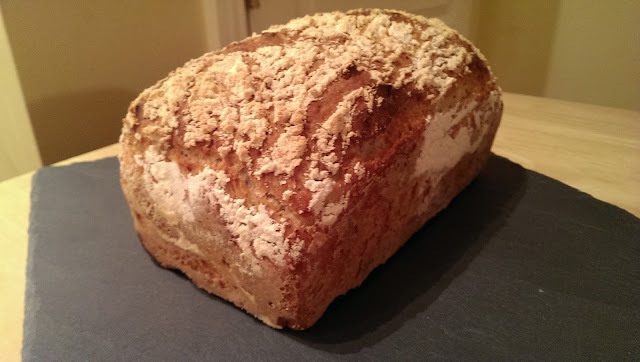 This bread you are going to love, its simple, fast and so easy to make you will keep coming back to it as your go to bread in the future. 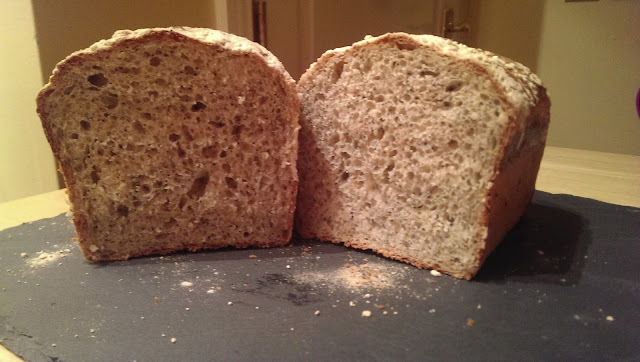 I am always a little skeptical of no knead bread but this one is a winner, it produces a great airy slightly moist crumb and all you need to do is proof it. It takes 1.5 hours proofing followed by only 30 minutes cook time, you cannot get a better faster recipe for yeast bread that comes out like this. I found this recipe below last week whilst perusing Tastespotting.com, the recipe is provided by Charles over on Five Euro Food, and reading the comments alone convinced me to make this. Check out the recipe below and I really mean it when I say its easy to make anyone can do it and impress people. Placing the yeast into a bowl and pour 50ml of the warmed water gently giving it a quick whisk to incorporate all the yeast. Place to one side for 15 mins allowing the yeast to foam up and activate. Mix the salt, poppy seeds and sugar in with the flour and then make a well in the centre. 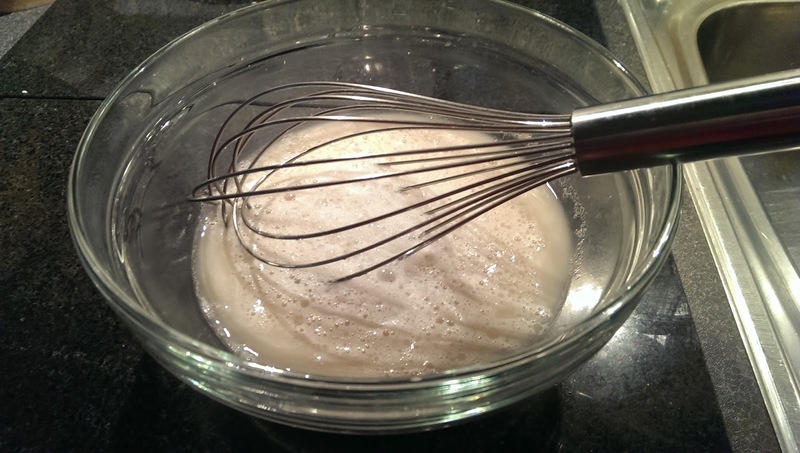 Pour in the yeast mixture and the further 250ml of warmed water. Mix well until the flour is completely combined. Cover with a damp cloth and leave in a warm place to proof for 60 minutes, until the dough has doubled in size. Grease and flour a loaf tin and then turn the dough out onto a floured surface. 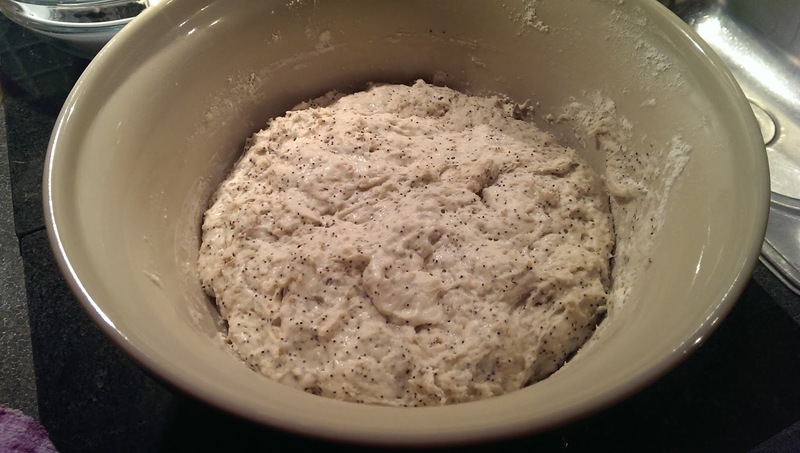 Dust the dough with a bit more flour and then fold over a few times. Form the dough into a block and press into the bottom of the tin. Sprinkle on some flour before setting aside in a warm place to rise again for 30 minutes. With 15 minutes left preheat your oven to 230c/210c (Fan)/450F/ Gas Mark 8. Bake for 25-30 minutes depending on your oven, and until the loaf sounds hollow when tapped underneath. Remove from the tin immediately after baking and allow to cool on a wire rack. Make sure to allow it rest for 20-30mins, bread does not slice well straight out of the oven. Thanks alot to Charles for sharing this excellent recipe, I absolutely love it.